In April of 2008 I achieved an unexpected milestone in my life when I received my MBA from George Fox University. Two years prior when I enrolled my friends and colleagues thought that I had lost my mind. What in the world did I expect to gain from getting an MBA at that late stage of my life? Enrolling in a graduate degree program turned out to be a great way to transition into this phase of my life. As it turned out I not only received a stellar educational experience but I also felt rejuvenated by the process. I was in the company of students half my age at the beginning of their careers as I was transition out of my first career. My perspectives though different were always welcome and respected. As it turned out I was richly rewarded by following my own advice, make the choice, cross the wake, live your dreams! 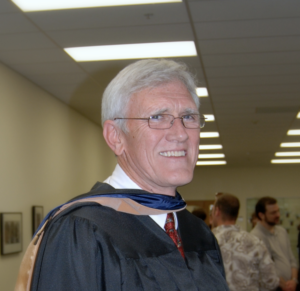 The faculty and staff at George Fox typify the description of excellence that I found very early in my dental career that impacted me throughout my practice as I pursued “excellence” in my delivery of patient care and managed my business. How fortunate I was to have found O’Connor early in my career. Let me help your group make the choice, cross the wake and live their dreams.